The Original Jawbone Bluetooth is an incredible product but we receive hundreds of e-mails every month from customers looking for a way to improve the performance and fit of the unit. A custom earpiece from Avery Sound is the answer. Once your order is received, we will ship an impression kit to make an impression of your ear. Mail the completed impressions to our lab using the postage paid mailing materials or to the address at the bottom of the lab order form. 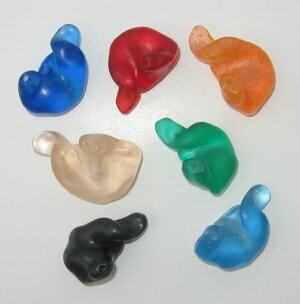 We will use your impression to make a reverse casting and return to you a custom made earpiece that will fit on your Bluetooth and are guaranteed to give you the comfort and convenience you have been looking for. 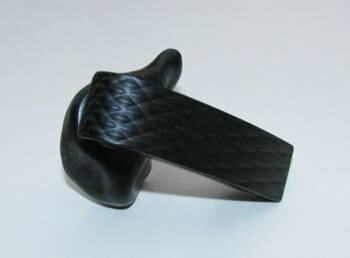 Which Jawbone models will work with the Avery Sound Custom Earpiece? 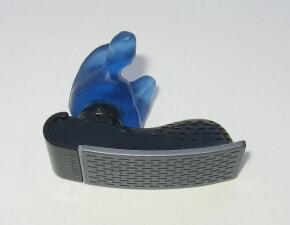 The earpiece is not only custom fit for your ear but is custom fit for the specific Jawbone model. 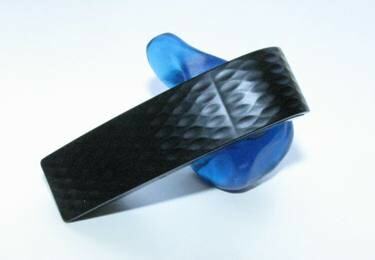 Shown below are examples of Jawbone Bluetooth models with custom earpieces. If you do not see your model pictured send us an e-mail. We are adding new models every month. Can I order a custom earpiece for the Jawbone II, the Jawbone Prime, the Jawbone ICON, or the Jawbone ERA? Yes! You can order a custom earpiece for all of the above. Selet the product your interested by clicking Order Now and Select your Bluetooth Model from the drop down provided. The Jawbone II Bluetooth (also known as the Noise Assassin) is an incredible product but we receive hundreds of e-mails every month from customers looking for a way to improve the performance and fit of the unit. 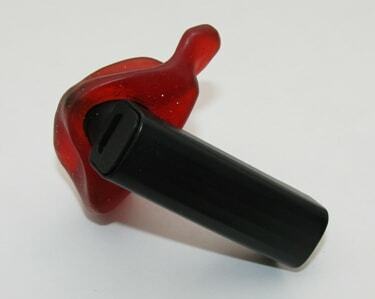 A custom earpiece from Avery Sound is the answer. The Jawbone Prime Bluetooth (also know as Noise Assassin 2.0 or EARCANDY) is an incredible product but we receive hundreds of e-mails every month from customers looking for a way to improve the performance and fit of the unit. A custom earpiece from Avery Sound is the answer. The Jawbone ICON Bluetooth is an incredible product but we receive hundreds of e-mails every month from customers looking for a way to improve the performance and fit of the unit. A custom earpiece from Avery Sound is the answer. The Jawbone ERA Bluetooth is an incredible product but we receive hundreds of e-mails every month from customers looking for a way to improve the performance and fit of the unit. A custom earpiece from Avery Sound is the answer. Please note this earpiece is for the Original ERA only and it will not fit on the NEW ERA version released on January 16th, 2014. On January 16th, 2014, Jawbone released a NEW version of the ERA. The NEW Jawbone ERA Bluetooth is an incredible product just like the previous models but we are already receiving dozens of e-mails from customers looking for a way to improve the performance and fit of the unit. A custom earpiece from Avery Sound is the answer. Please note this earpiece is designed to fit on the NEW ERA only. I received my custom Jawbone earmold today and am very happy and satisfied. Thanks again for your great product/services, I am quite happy with the results. I really like the earpiece, now I can take full advantage of the Jawbone Headset, hear very clearly, plus it is so comfortable. 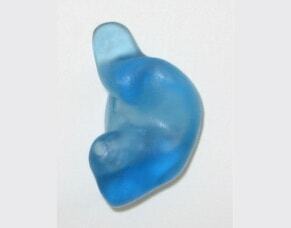 I just wanted to tell you that this is the most comfortable and secure earpiece that I have ever had the pleasure of using. My Jawbone device does not come loose even when I am crawling around on the floor. I can wear it all day and never think about it. Fantastic product. Thank you so much! Just a quick note. Today I received my custom ear piece for my Jawbone bluetooth. All I can say is "Fantastic Job". It fits perfect, is not an irritant, and the best part, I have turned my phone down to its lowest setting and can still hear perfectly. No more ear hoops and if I shake my head the ear piece stays securely in place. If you ever need a testimonial from a customer, please use me. Thank you for producing a product that actually met your advertised promise. Best regards. I've worked with cell phones for the better part of three years. The Jawbone earpiece I received today is amazing. This is exactly what customers are looking for in an earpiece. It fits very snuggly but does not require big hooks or devices to hold the headset on. Volume is amazing. (actually had to turn my phone way down because I have always had it up fairly high) Just wanted to let you know that you have a great product here and I'll be sure to recommend it. When I first bought my Jawbone, the reported sound quality was great, but the earpiece would fall off my ear within two minutes of use. No combination of earloop and earpiece worked. I ordered a custom earmold from AverySound, followed the instructions, and now have the best sounding earpiece with the physical security of my previous favorite, the behind-the-ear Jabra BT500. 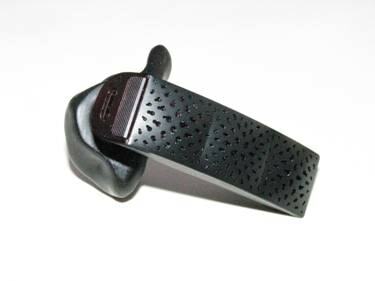 The Voice Activity Sensor of the Jawbone is pressed firmly but comfortably against my face, no earloop needed. I am able to comfortably wear the headset for 8+ hours straight. It couldn't have turned out better. Products this good are rare and deserving of the compliments. Thank you!